Be sure to check back frequently for field trip information and updates. 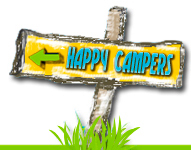 Bookmark this page and check it whenever your child is scheduled to go on a City Camp field trip. Visit our Camps page to learn about our new specialty programs! Experience fun and fitness this summer this week. Campers will learn about the importance of eating healthy while experiencing how much fun it is to live a healthy lifestyle. Campers will participate in obstacle courses and Sports Buffet where campers get to try different sports, such as swimming, skating, ultimate Frisbee, competitive jump roping, martial arts, soccer, flag football, biking, archery, and more! Learn to live a healthier, more natural lifestyle. Engage in age-appropriate eco-friendly lessons on ways to help keep the Earth green. Campers will explore the natural environment and engage in activities in the sciences and arts that reinforce each day’s message such as planting trees, making art with recycled materials, or coming up with new ways to do everyday things that teach sustainability in a manner that just plain makes sense. Days are balanced with games and fun activities that promote wellness and health. This will be a blast from the past! Campers will learn about the history of Detroit, play old school games, jam to Motown tunes, have a 70’s party and enjoy a Pajama’s and a movie! Go under the sea with fun ocean-themed activities and crafts! Explore life under the sea through nature and craft projects, storytelling, skits, and friendly competitions. Of course, this week would be complete without some wet, wild, and wacky water games to beat the summer heat. Wear your Superhero costume. Be a hero every day. Stand for truth and justice. Campers will learn what it means to be an everyday hero through small acts of kindness and standing up for others. Campers will celebrate the essence Christmas in July focusing on the art of giving and the importance of helping others. Campers will spend days decorating their rooms, singing Christmas songs, working on a community service project, making themed crafts and playing super fun games like, Pin The Heart On the Grinch, Christmas Snowball fight, and more! Be sure to bring a Gift ($5 or less) for our all camper gift exchange. Spend the day taking a trip around the world. Participate in games, crafts, music, language, food and fun! Have fun engaging hands-on experience! Use various art mediums such as painting, drawing, jewelry making, clay, wire, paper mache, and more! Spend the week exploring the world of the arts, music, performance, dance and more! Campers will showcase their talent at the end of the week.